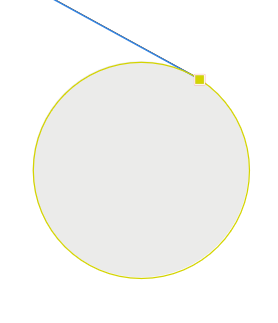 Options shown above will snap to the circumference of the circle, but does not indicate or snap to tangents. There is no function in Affinity at present to snap to tangents so far as I am aware. With snapping to circumference, I find tangents quite easy. I agree that it is easy to eyeball an approximation of the tangent, but if absolute precision is required this may not be good enough. One can zoom in several thousand percent to get a really close approximation, but the OP referenced autoCAD which will genuinely snap to tangents without any faffing about. In CAD (special engineering tool) is high/absolute accuracy certainly desirable. But Designer is software for drawing, illustration and sketching! For me is "Snap to object geometry" perfect function, which will be used by many users. Precise snap to tangents use how much? Does Serif invest work and time into this specific function? 1+ for @Aammppaa for requesting snap to tangents. Agreed, JohaWeber. Besides, if precision wasnt needed, there would be no need to 'snap' to anything and we could just eyeball it all Psenda suggests. Luckilly I have found a work around - it is possible to snap to tangents using regular (manual) drawing techniques. It's a few extra steps, but at lest it can be done. For those of you interested, check out this video I found - I can mimic the technique in Affinity Designer using the snap to centre and intersections, and drawing a circle using the right mouse button to define the diameter. For now at least, I can work around this. I do feel that Affinity designer should be introducting more advanced snapping and drawing functionality to set itself apart from Illustrator and prove its a more professional tool, hence why I posted this in the feature requests part of the forum. @Rob123456789 Awesome! 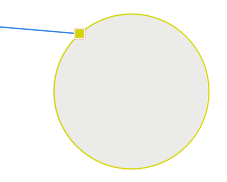 And thanks for the reminder about the right mouse modifier for drawing circles by diameter. In all fairness to Serif, this is not an easy thing to add. Adobe didn't offer it and I had to turn to Astute Graphics and their SubScribe plugin to do these tangent and perpendicular tasks. ..oh wait, AG is now licensing their tech to other companies beside Adobe? Serif + AG would be a great pairing and allow us to catch up with Illustrator. I'll disagree. This is not difficult, it's math. 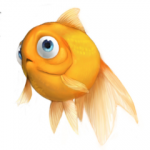 Yes, the feature would require allocation of development resources, but tangent snapping comes down to mathematics and/or algorithms that are pretty well-defined, with precedents in both graphic design software and in other areas of computer graphics. Whether it's about Adobe or Affinity supporting or not supporting this feature, it all comes down to resource prioritization. This particular piece of work isn't rocket science, but does take up limited bandwidth for UX design, implementation, testing, etc. For my part, I've also had need for snapping to tangents in my work, enough that I bought Astute Graphics' plugins to support that workflow. So I'll add my +1 to support for snapping to tangency, which ultimately ends up covering snapping to path tangency and becomes a form of object collision snapping. Apparently some tools are related to the CAD world, but I am convinced that for a good creative work in graphic design the possibility of precision in drawing are an added value !!! 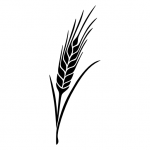 For Affinity it could be a distinctive value. In my product design activity I use fusion 360 of Autodesk ... the 2D sketch work is much more productive than Adobe Illustrator and I would like to find some of its peculiarities on Affinity Design !!! Yes please, I would love tangent, midpoint, and intersection snapping added to Designer! I currently use Moi3D for accurate 2D work, but it would be nice to stay with Affinity instead of bouncing around designs in multiple bits of software. PS: also mirror around any line you draw between two snap points would be really useful, and split line on snap points. What do you mean by tangent? Can you explain, please? TANGENT: A straight line or plane that touches a curve or curved surface at a point, but if extended does not cross it at that point. Ben (one of the developers) has been sharing a couple improvements to snapping for version 1.7 on this thread. I advise you to post these suggestions/feedback there as well.